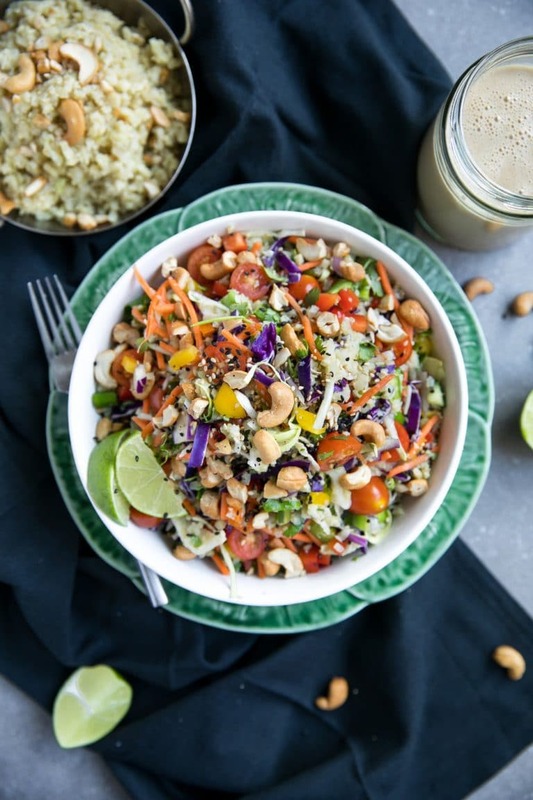 Crunchy, Colorful and Creamy, this Thai Cashew Coconut Cauliflower Rice Chopped Salad with Ginger Peanut Dressing has all the things you could hope for in a salad, plus some! Find the full post and recipe for Pineapple Cashew Cauliflower Rice with Coconut Milk here. If there’s one thing I’m good at, it’s packing in as many vegetables as possible into one dish. I often start a recipe with one thing in mind, but end up with something entirely different. Part of my problem is this compulsive need to add as many vegetables as possible. Someone once told me to shop for (and therefore eat) the rainbow. Well, I must have taken this suggestion very seriously because I actually aim to fill my cart with produce of every color whenever I go to the market. Anywho, if you love rainbows and vegetables just as much me, then you will probably love this salad! 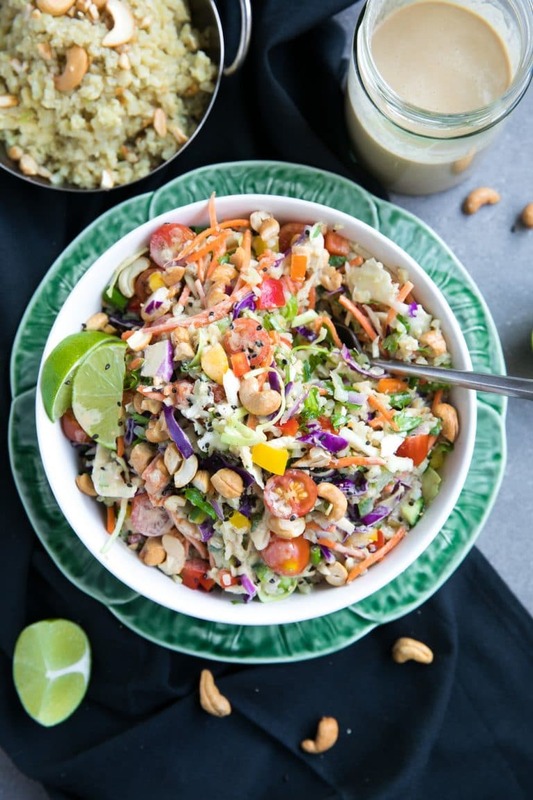 Soft, warm, creamy and super flavorful Pineapple Cashew Cauliflower Rice mixed with fresh and crunchy chopped salad makes this bright and textured salad a lunch or dinner favorite. But don’t forget the Ginger Peanut Dressing! In other news, we’re driving up to Oregon for the solar eclipse. We leave Saturday and considering the plague of people migrating to the state, we’re not prepared. Who else is going? My husband’s plan is to literally drive up some random mountain road (with me, the kid and the dog) to see the eclipse. He’s become totally obsessed over the whole thing. Me? Well, let’s just say I know my child fairly well by this point- he will definitely take the special glasses off at some point during the eclipse just to piss us off. So, I guess we know what i’ll be doing. Aside from that I’m super excited! Add the coconut oil to a large skillet over medium-high heat. Once hot add the diced shallots and sauté until soft and lightly brown. Add the minced garlic and salt and stir, cooking for one minute more. Mix in the riced cauliflower with the shallots and stir to combine. Reduce heat to medium and cook for for 2-3 minutes, stirring constantly. Stir in the coconut milk and mix well. 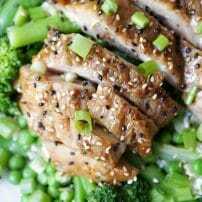 Continue to cook the cauliflower rice for an additional 4-5 minutes.Mix in the freshly chopped pineapple and cashews and cook to desired doneness. Set aside. 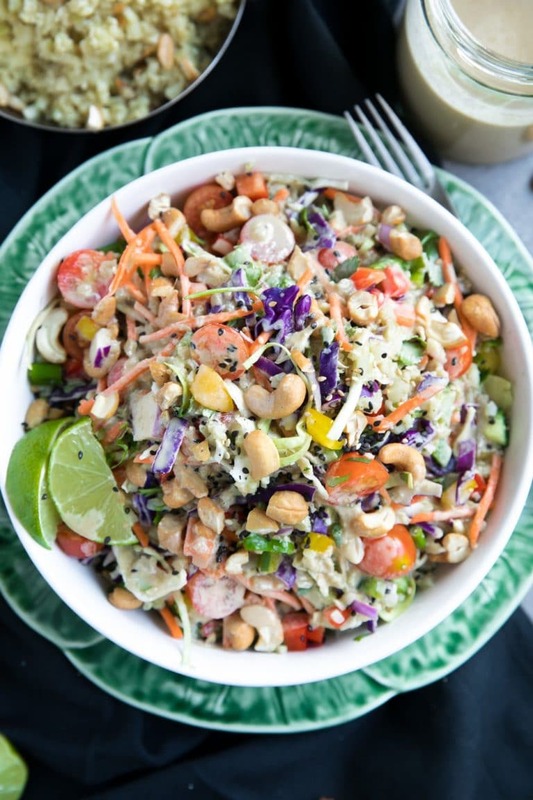 In a medium bowl whisk together all the ingredients for the peanut dressing. Taste and make adjustments as needed. Set aside. 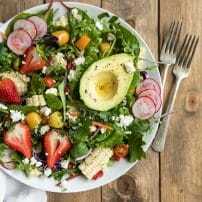 At this point you may either mix everything together- if, for example, you are feeding a large group- or, build each salad bowl individually. Unless you think you will finish everything, I recommend the latter. 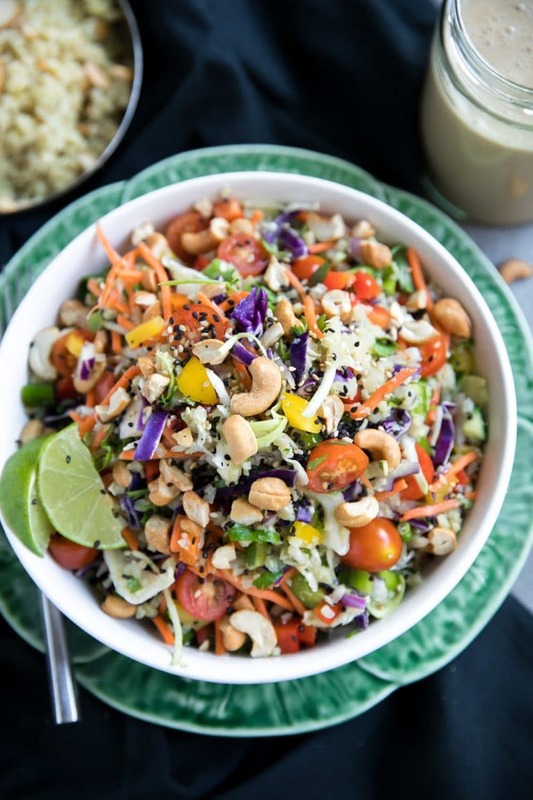 To each individual bowl add Coconut Cauliflower Rice, fresh chopped salad greens and plenty of yummy ginger peanut dressing. 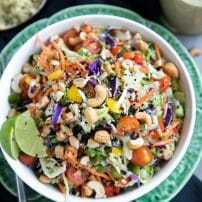 Garnish with additional cashews and dig in! *You may have leftover salad mix. To keep it fresh and ready to eat transfer to a large zip-lock bag and squeeze out as much air as possible. 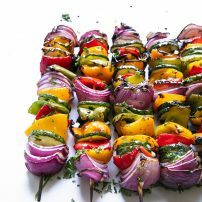 Store in the refrigerator for up to 3-4 days (assuming ingredients were fresh to begin with). This salad looks so delicious! I can’t wait to make it so I can eat it! This salad is excellent! Loved the complex flavor profile and can’t wait to make it again. Thanks for a great salad recipe!